Stoic Week 2015 Day 1. Life. I found one of the short quotes of Epictetus provided in the handbook to carry a lot of power. 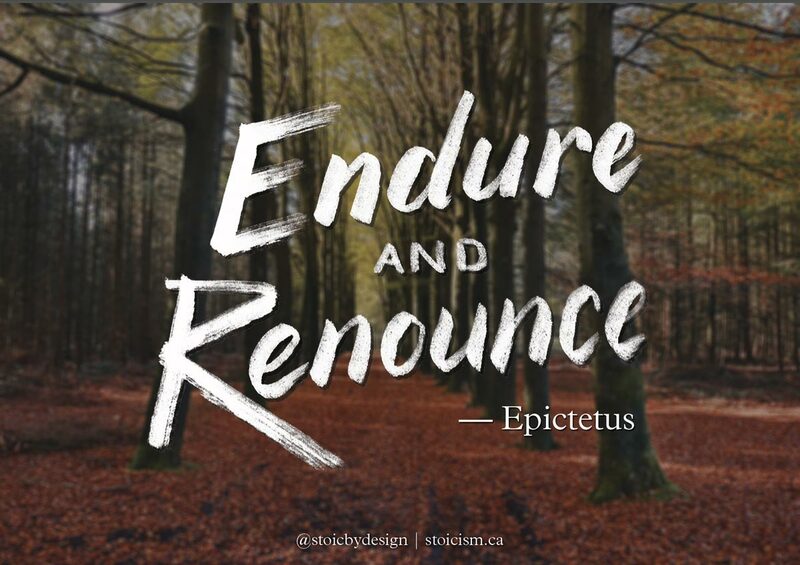 Endure and renounce. I take this to mean, have the courage to bear anything that is good and the self discipline to avoid or decline anything that is bad. Share your thoughts on this quote or tell me how you interpret it in the comments below. To me this is a reminder that life isn’t about being entertained and having fun. It’s especially helpful as the parent of a baby. While I was pregnant people kept telling me my whole life would change, and that parenting would be so hard. I feel that life has changed for the better because I can be of service to my son. I don’t feel the need to do what I want when I want….I’m not missing out on anything. Stoic philosophy is great for parents. I’m working on an essay on the topic. I know you have written about it before.